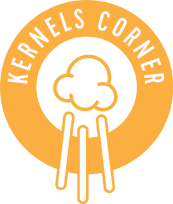 By Kernels Popcorn | Aug, 2017 | Tagged " Kernels Corner "
very humid days remind your customers to keep our popcorn in a cool dry area. No charge for a Polyshopper – this is a store wide policy. friendly! She really made me want to come back again. And her up selling ability is unbelievable! We are very lucky to have Bhing who treats every one of her customers just like this one! No wonder Park Place does so well with their Fundraising Program…. fundraiser. We will be contacting you again next year so we can do it again. Thanks! Nice touch Hank and Helene and the Park Place Team!